After arriving at the house we were greeted by a very friendly host. The house was really clean and nice and warm , the fire had been lit for us too, which was a nice touch. My wife and I had a great couple of days there. The house is 248 years old and has bag loads of character. It had all the modern comforts you would expect and everything works as it should. It´s great to see that the IHT has looked after this property for others to enjoy. Thank you for supporting Irish Landmark Trust, a non-profit charity, by staying at one the self-catering properties in our care. Termon House is a very special property and we are delighted to hear that you had a lovely stay there. We do hope to one day welcome you to another Irish Landmark Trust property. 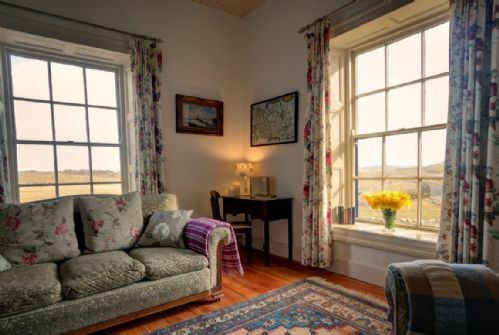 Termon House is a wonderful retreat in an idyllic seaside location with an added bonus: you experience the weft and weave of history from every angle and perspective throughout the property. Thank you so much for staying in an Irish Landmark Trust property and supporting our work to safe, share and sustain some of Ireland's built heritage. It was wonderful to have you stay with us and we are delighted to hear you had such a lovely stay at Termon House in Co. Donegal. The "Heads" family stay at Termon House. Termon house is located in a amazing postition and delivered everything we wanted from our stay. My only feedback would be, that the house is now indeed looking tired from both the outside and the inside in terms of cosmetics and structural wear and tear. The house also house permanent residents of its own, birds have made a nest inside the guttering and could be heard lte at night scachting around in the roof. However apart from this we thoroughly enjoyed ourstay. Termon House is warm, homley and full of character with amazing views out of each window. It now needs some TLC to ensure it doesnt deteriorate any further. We arrived at Termon House in the midst of a wild Atlantic storm but felt so safe and secure inside. The house was so warm and cosy that the first evening of the storm we did not even want to venture out so we played games in front of the fire, chatted away to the wee small hours and fell asleep in comfy and warm beds, whilst listening to the Atlantic crash into the shore outside. 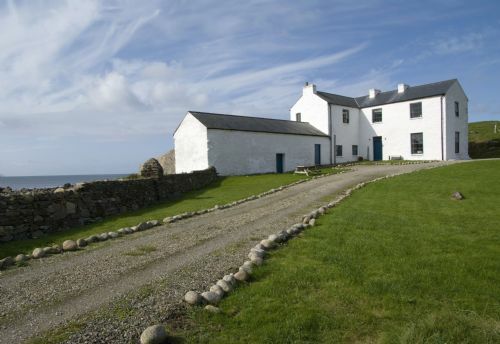 The property withholds such a battering given it's position right on the coastline, but the wonderful Margorie does such a fantastic job looking after Termon House and it is in such wonderful condition throughout. You can really see and feel that the property is so loved and cared for. We had 3 days of exploration of beautiful Donegal and are already planning a return for a much longer period of time. Cannot wait to return to Termon House. Thank you for letting us know how well Termon House protected you and your group during the recent storm off the coast of Donegal. I do hope you had some sunshine also to get out and explore the local area and amazing beaches. The setting of Termon along the stunning coastal scenic drive towards the Glenties is great for those who love the wilds of Donegal. Thank you for your support in helping to save, share and sustain more of Ireland's built heritage. My 5 friends and I went to Termon House for the Halloween Break and we couldn't have loved it more. It is a fabulous place to visit let alone call home for a few nights. The place is spacious, warm, full of old world charm and subtle new world necessities. (Central heating, washing facilities, kitchen appliances...) We loved our views from our rooms and the gentle angles around the nearby countryside. Incredible scenery, interesting history, total comfort and, of course, from Margorie there was a wonderful welcome. Thank you for your lovely comments about the beautiful Termon House. It is just wonderful to hear that you had such a special stay over the Halloween break. Did you have any trick or treaters all the way out on the coast? Given it's location, many people are so happy about how cosy and warm this property is. The thick walls and central heating always keep our guests inside safe and sound. Irish Landmark Trust are very lucky to have such a brilliant House Manager like Margorie looking after Termon House and Landmark guests for us. Our 3-day stay at Termon House was an exciting experience. I did not expect it to be so large and it was perfect for me and my 3 friends during our time there. It was a very solid house as we found out when one of our many storms hit Ireland on 10th Oct!! Rooms were spacious and it nice to have our own bedrooms. The kitchen a great size and the 24-hour stove made it a very comfortable space. The open fires, no television and remoteness of the house all contributed to the escapism we sought from the busy world. Atlantic waves lashing against the rocks meters from the front door also contributed to the wildness of the location. We read up on the history of Termon House which was extremely interesting as it was once home to the local Land Agent who collected rents for an absentee Landlord so may not have had the same welcome for the local peasants at a different time in our history. However, it has survived today to welcome the sons and daughters of those peasants as well as visitors from many countries from around the world. The Irish Landmark Trust is to be commended on preserving an important part of our past. It is just wonderful to hear that you had such a fabulous Irish Landmark experience in Termon House. Termon House is a wonderful retreat for anyone looking to escape from the busy and often non-stop modern world. Here you have the time to stop, relax, explore and have adventures in the stunning Donegal landscape with family and friends. Really unplug from it all, but in comfortable and welcoming surroundings. Thank you for supporting Irish Landmark Trust, and we do hope to welcome you back to another of the properties in our care soon. If staying in a five-star hotel is not your requirement, and you'd like to experience something uniquely Irish and wonderful, then look into the array of landmark trust properties. There is a good deal of consistency among them, although, in the more remote locations, the greeting may be more personal than in the cities. But they have character, beauty and comfort beyond what most hotels can provide. Unless, perhaps, you're paying four or five times the tariff. Thank you for supporting Irish Landmark Trust by staying in one of the 33 properties in our care. As a guest you are helping us in our mission to save, share, and sustain Ireland’s built heritage. Each of our properties has been carefully restored, but it is the guest – and all those who visit – who add the essential heartbeat that gives new life to these properties. We had a short break in early October in this fabulous house and a truly wonderful location. We were well looked after, even at short notice, and everything you could possibly need for a comfortable week or two away is there. It’s quite an atmospheric place - a proper get away. We loved the house and would definitely like to stay again for a longer trip at any time of the year. Many thanks to everyone involved - what an excellent job you do! Donegal is an amazing County and Termon House is a great place in a beautiful location. Walking and playing with the dog on the beach, relaxing in either of the lovely sitting rooms and falling asleep to the sound of the waves! We liked The Strand pub which is in easy walking distance. Thank you so much for your wonderful review. It sounds like you've fallen in love with Donegal and Termon House as much as we have. It really is a magical place. Especially for our four legged friends! The added benefit of staying with Irish Landmark Trust is that every time you stay with us you are helping us save, share and sustain similar properties all over this beautiful Island. All the best and we hope to welcome you again soon. This is a very comfy house in a remote location at Maghery. I encourage anybody planning to stay to bring their bicycles-there is fantastic bike exploration to be done simply by opening the front door and leaving! There are miles of roads with grass growing up through the centre bringing you along scenic routes. Similarly for walking. It would be worth getting info from Donegal Tourism first so that you can plan. Fabulous beaches at Dooey and Portnoo. Don't miss Glenveagh National Park, Glebe House and Gardens, and the exhilaratiing Sliabh League Cliffs. Nearest food at Dungloe, there is a pub at the end of the road which has large TV screens and is a bit dark and cold. Be prepared for a few evenigs in! Thank you for your wonderful review and great recommendations to future guests. Very good advise about bringning bicycles. The Donegal scenery cannot be matched explored by foot or bicycle. It is a very beautiful county. It is great to hear that you really enjoyed your stay and we do hope to perhaps welcome you back again sometime in the future. 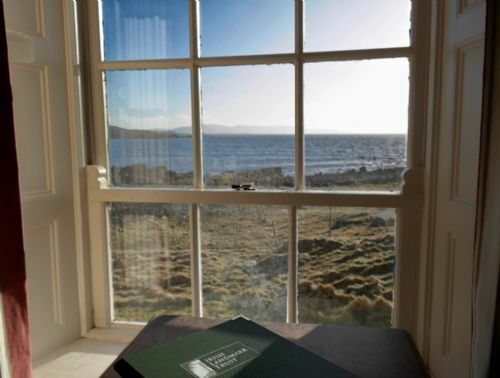 Termon House is in a lovely part of the coast, and very well located for the sea, with very spectacular views from most windows. The house is very comfortable, especially good beds. One of the bedrooms is accessed through another one. Upstairs bath and downstairs shower room so plenty of bathing facilities. The heating system works well and you can have a cozy atmosphere with the real fire. Mobile phone access is fine, no internet. We enjoyed visits to Dungloe and had a very good meal at the Waterside Hotel. Walking in the local area is also very good. Super that you enjoyed your stay at Termon House. 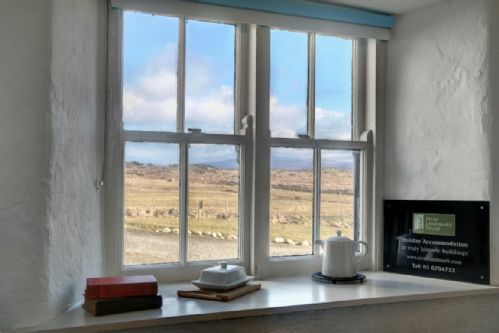 It is a fantastic property for anyone wanting to get away to a quiet spot along the Wild Atlantic Way for a few days relaxing and just enjoying the moment beside the sea. It is wonderful to hear that you got a chance to explore the coastline and the weather was fine for the duration of your stay. We had a fantastic 2 week break . The view from every window is amazing and the house is warm , welcoming and cozy !majorie gave us a great welcome and it was great to be able to bring the dog with the family . He had a ball! Wow, 2 weeks in Termon House sounds like the most peaceful break from the hustle and bustle I can imagine. This property is in such a stunning location and we're so glad you and especially your dog appreciated it! Marjorie is a wonderful House Manager so I'm sure you were very well looked after. Thank you so much for the great review and we hope to welcome you back to this or another Irish landmark property in the near future. I’ve stayed in a few Landmark Trusts and really sold the idea to my family, so was a bit worried that I’d set the bar too high. Needn’t have. Marjorie met us with cookies for the kids, everything we needed and a lovely warm, relaxed approach. Best host I’ve had yet. Lovely house, felt our own for the weekend. Toasty inside. Needs a bit of work on the walls etc but can’t say that impacted our visit. Can’t recommend enough. Thank you for your continued support of the work Irish Landmark Trust do and we are delighted to hear that you had such a lovely time at Termon House. As a guest you are helping us in our mission to save, share, and sustain Ireland’s built heritage. It might not feel like your holiday is anything but a relaxing indulgence, but when you stay in an Irish Landmark property, you’re part of a community that’s helping to keep heritage alive. The property is located in such a wonderful location right beside the sea. Termon House dates from 18th century and given its location it can unfortunately have an issue from the full force of the Atlantic against it's gable wall, but Irish Landmark do hope to budget for this in 2018 and we hope to be able to resolve this. Given that the property has survived over 240 years we do want to care for it in the best way we can so we hope to raise more funds for this incredible property. We stayed as a young family with two children and two grandparents. We were blessed with the weather which made our short stay even more enjoyable and the majority of it based outdoors. 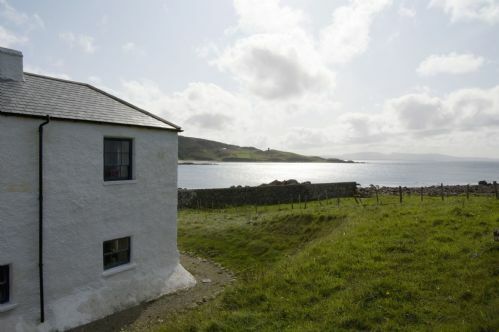 The house is in a secluded location, offering direct access and views to a rocky beach. However it's not isolated with a nearby town offering a supermarket, ATM and fast food. The house has no internet access and no tv which only enhanced our stay. However the house did have an extensive and varied range of books and board games, should you be unlucky with a wet day. 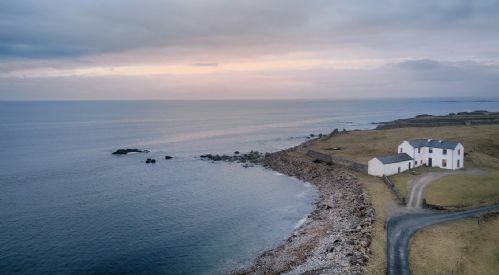 The location is ideal to explore the wild Atlantic way and there are many walks starting from the house. We found the house well equipped and we made all are meals here. A little tip down forget tin foil and perhaps bring an extra baking tray or sheet if you intend to use the oven. Would definitely go back. 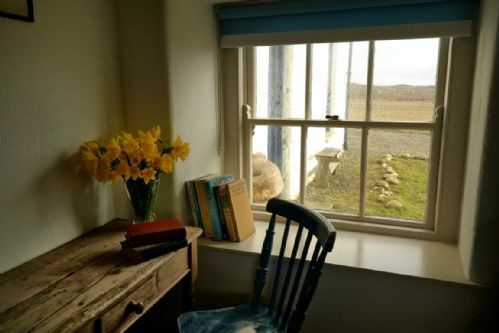 At night we slept with the window open and heard no man made "noise", not even the hum of a light bulb or electrical fitting, just the sound of the tide and coastal birds. Truly relaxing and recommend for anyone looking to get away from it. Your review of your stay at Termon House in Co. Donegal really does capture exactly what a stay at this property is all about. Getting away from it all and reconnecting with oneself in the beautiful, unspoiled setting of Co. Donegal. Irish Landmark Trust are delighted that you enjoyed out no WiFi policy as we really feel this does allow guests to really break away from modern electronic distractions and just live in the moment. Thank you for your wonderful review and we do hope to welcome you back again in the future. We enjoyed a very restful time in Termon House. It is a charming house. It is in a beautiful location and the scenery is outstanding. The people from the town are so friendly. The beach was great for the kids and the playground in the community centre was handy too. A great experience to stay in Termon House. thank you for your feedback, delighted you enjoyed your stay, would love to see you back. We absolutely loved our stay here! The only problem was that it wasn't long enough. There wasn't a bad view from any window in the house. We were looking for a lovely quiet time away and all you could hear was the wind, the birds and the sea. Our 3 boys really appreciated their time there and still talk about it as the highlight of our trip. Awesome walks around the tower across the bay as well and "Traditional Tuesday" Irish music at the Strand pub down the lane was a highlight. Will always remember the smell of our peat fires. We definitely want to come back some day. Thank you so much for your feedback, we love to hear such positive feedback, come back again soon. 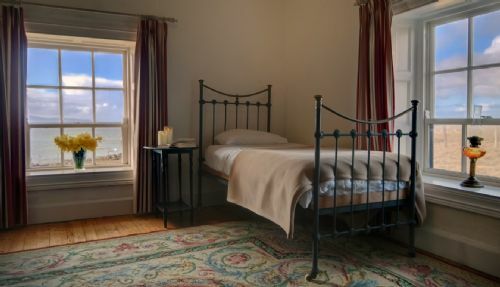 A unique old property with bags of history and character, right on the waterfront with stunning sea views from all rooms. Had a wonderful holiday here. No overlooking neighbours, total peace and quiet. Difficult to tear ourselves away from watching the sea from sitting room window. Two beautiful sandy beaches close by. Thank you for taking the time to write this review, we are really delighted you enjoyed your stay, come back again soon . As always the Termon House provides comfort with a great historical feeling. The library with a fire is a very special room. Thank you for your kind comments , we are really delighted you enjoyed your stay, come back again soon. Thank you for your lovely feedback, we are really delighted you enjoyed your stay , come back again soon. We had a lovely stay at Termon House. The house lived up to the pictures and we loved the location and style. Donegal was evoked when we arrived to a turf fire that had been lit for us by Alice, the properly manager! 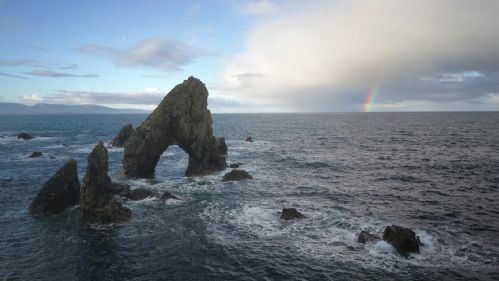 There was a magical beach nearby and the house book had some great recommendations for things to do - we particularly enjoyed the visit to Arranmore and the great pints of Guinness at the Strand. The heating was a bit dodgy which meant the first night was cold, but it was fixed on the second day. Thank you for taking the time to write this review, we are really delighted you enjoyed your stay, we love to hear our guests feedback, come back again soon. It was a pleasure get up in the mornings and pull the curtains back just to see the beautiful views out of every window. The house was surprisingly cosy considering its location right on the beach. The open fire was a very welcome sight when we arrived. Thank you Alice! The local pub is within walking distance and serves lovely Guinness. We drove along the Wild Atlantic Way to Slieve League (Sliabh Laig). The scenery is stunning! We thoroughly enjoyed our stay and hope to be back again sometime. A wonderful time spent in such a remote and beautiful part of Ireland. Views from all windows! My family and I had a really great time in Termon House. From swims on the beach to cups of tea by the range! All 3 generations were very pleased with their short stay at Termon House. We were greeted with a warm welcome - lights on, aga warming the rooms and flowers in the generous -sized downstairs rooms. We enjoyed eating our meals in the bright and well-stocked kitchen. Loved the views from all the comfortable bedrooms. Felt cosy by the firesides in both sitting rooms. The beaches and scenery are stunning ...including the short walk to the village playground and the friendly pub. We loved the house so much we didn't want to leave ! Had a wonderful weekend in Donegal staying at Termon House. What a fabulous house in a fantastic location. Could not believe our luck when we also got a weekend of lovely weather. First Landmark Trust break and can assure you it will not be our last! We had the most wonderful stay at Termon House. 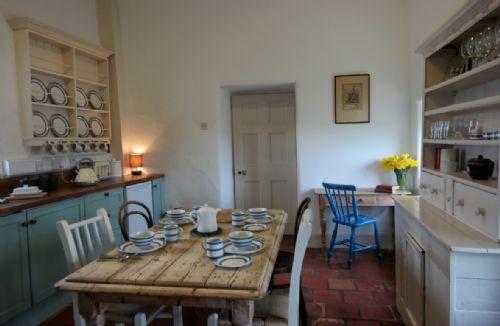 The house itself is full of charm and character and is maintained to a very high standard. The location is just stunning. 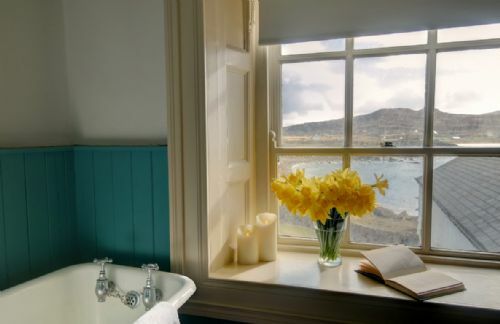 There are views of the sea from almost every window. A beautiful sandy beach is a short walk away. A community cafe and a local pub gives you a choice of refreshment after a walk or swim at the beach! Both Alice, who lives nearby and manages things for guests, and Irene, who organised the booking were so friendly and helpful. 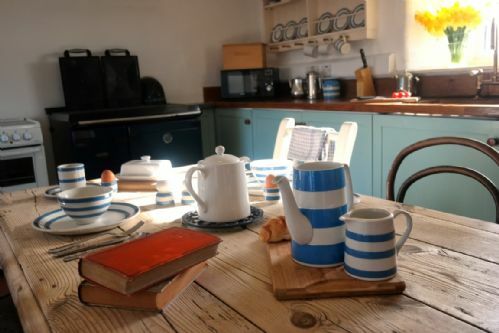 We will definitely be booking with The Landmark Trust again! We had a very happy family holiday in Termon House. It is a very special house in a beautiful location. The children loved playing on the rocky beach collecting rocks and looking for crabs and periwinkles. We recommend swimming on Maghery beach. This is a superb house to rent. Amazing sea front position. No TV or wifi a boon. Feels like stepping off the planet. Great location for hiking, swimming, fishing and biking. Suitable for all ages. Will definitely return. Delighted you enjoyed your stay, would love to see you back perhaps at another one of our properties. The house is beautifully situated and very comfortable. The washing machine was not worki.ng properly but a repairman was called as soon as this was reported. Despite the poor weather, we had a very enjoyable week. Thank you for your feedback, delighted you enjoyed your stay, would love to see you back in the near future. One of the bedlinen wasn`t changed.One wall socket was burnt, one was not fixed. The pan was ruined, the electric cooking plate was in bad condition. the door of the shower does not close properly.some firealarms in the bedrooms were missing. We really loved the house - love the historical aspect and felt authentic. Love the fact there was no TV or internet it allowed us to fully enjoy the property. Now we would like to try other landmark properties. Thank you for your feedback, really delighted you you enjoyed your stay, it's always a pleasure to let guests enjoy our properties. This was a short four day stay with one other family member and my small, terrier dog. From the moment we approached the house and saw smoke rising from the chimney and then saw flowers in the vases, we knew we were welcome to our first stay with Landmark Trust. The location is a short, fifteen minute drive from Dungloe however once we parked our cars we never used them until we departed. Termon house is protected from the side and the rear by stone walls with a lovely pebble beach immediately beyond the wall. The views from the house across the Atlantic with adjacent sandy beaches, are lit by the rising sun in the morning and the setting sun in the evening. We were very fortunate to receive both a gift of oysters and mussels from the local fishermen who support a nearby fish farm with direct links to the French markets. 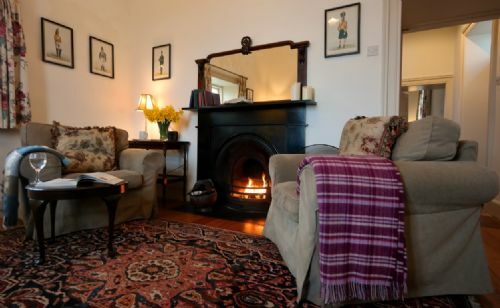 One can just relax in Termon House by the fire or partake of numerous, nearby mountain walks. In April we found whilst walking there was very little road traffic and the coastal road offers spectacular views over the sea. To have such quick access to save beaches I am sure would be an extra bonus even to guests with young families. We would certainly like to book Termon House again for a longer stay. Thank you so much for your great feedback, really delighted you enjoyed your stay, would love to see you back perhaps at another one of our properties. 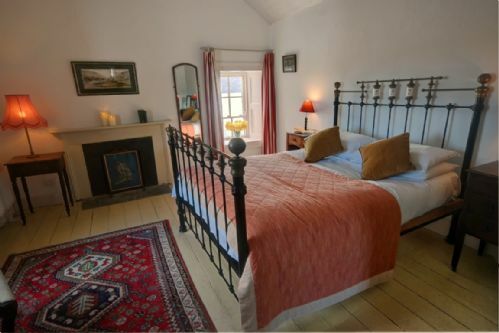 Termon House is full of character and the sound of the sea as it is almost on the beach and definitely on the wild Atlantic way-a great recipe for a good night's rest! The house manager was helpful and pleasant and the house was clean and comfortable as we always find with Landmark Trust properties. Donegal tourism however hasn't woken from hibernation yet this winter. Apart from beautiful Glenveagh we found most places closed...Highly recommend this house but maybe wait 'til May when everything might be open! Delighted you enjoyed your stay, thank you for your lovely feedback, come back again soon. My friends and I had a wonderful time in Termon House this weekend. We arrived in the dark on Thursday night and went to sleep with the noise of the wind and waves outside, and still were completely blown away (not literally!) by the beauty of the views the following morning. The house was lovely and cosy, thanks to Alice the house manager who had a roaring fire waiting for us on Thursday night. Alice also called in to make sure we were settled ok on Friday, and was extremely kind and generous with her knowledge of the house, and of course the local area. We found the facilities in the house just perfect for cooking and staying in, and had a great time dodging the showers and going for walks nearby. We loved staying in such a historic building, and reading about the house, and its place in the local community really added to our experience. Once again, Irish Landmark Trust comes up trumps! Thank you so much for your wonderful feedback, really delighted you enjoyed your stay, it's always a pleasure to let guests enjoy our properties, come back again soon. With a family connection to Donegal in the west of Ireland, we've been visiting for many years and Termon House features heavily in family mythology, to be able to stay there, listening to the waves crashing outside the windows through the night and bringing in the new year by a roaring turf fire - well it doesn't get much better than that. Maghery is a cracking place, the beach is unrivalled in any weather, a great welcome as ever in the local Strand bar, and the house manager Alice has the place cosy and inviting. So happy you enjoyed your stay at Termon House, it's always great to hear what our guests think, pleasure to have you stay and hope you will return in the near future. Superb location and great house, but not for winter letting! The house is not suitable for winter letting and - to be fair -should not be rented at this time of the year! Thank you for taking the time to review your recent stay at Termon House. It is important for guests to note that this property is a heritage building dating from the 17th Century and located right on the atlantic sea shore. The property is heated and aired throughout the year, even when vacant, to ensure that it is kept warm. This is important for the structure of the building as well as comfort of guests. There is central heating and 2 fires that can be lit at Termon House and many guests have said that this makes the property lovely and cosy during their stay. Of course this can be relative depending on the person. This winter has been particularly difficult for Termon House due to the many storms that have hit Ireland's shores the last few months. We will continue to rent the property even during the winter months as it is important the property is kept alive and maintained and the best way to do this is to have people stay there. Our three day visit to Termon was thoroughly enjoyable and relaxing. 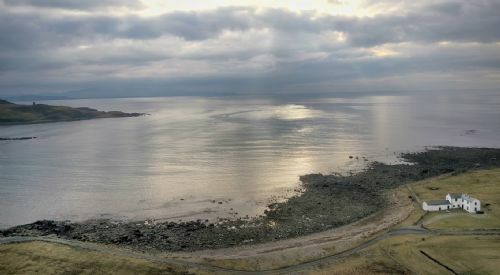 The wonderful weather made walks on the beach and a visit to Aranmore even more pleasant. Termon house was very comfortable. Thank you for the feedback, really delighted you enjoyed your stay at Termon House, it's always a pleasure to let guests enjoy our properties. As we were coming from outside the Republic of Ireland, we had extreme issues contacting the house manager prior to check in, who does not have email (she's a lovely woman but it would have saved me HOURS of frustration & a missed opportunity to go sightseeing as I was stuck trying to resolve the issue. PLEASE just get email... It would have been 5 minutes instead of several hours) We also got incredibly lost on our way to Termon House... Our difficulties were to a degree, in fact, we absolutely wanted to give up and just stay elsewhere. However, dispite the initial difficulties, our actual stay was fantastic. The house is wonderful and the views & location are beyond compare! Once we arrived (w/ enough food to sustain us for our stay) we didn't have to leave. There were miles of trails to explore which led to sand beaches, rocky coastlines, several ruins, and even stone circles!! We could have stayed longer and still have lots to explore! As it turned out, Termon House was one of our favorite places to stay in Ireland! Unfortunately, I am still extremely disappointed that getting there was such a nightmare. Glad Termon stole your heart. I am glad you got a to stay there. I am sorry to hear the detailed maps I sent you did not help you on your way there. It is quite an isolated spot (one of it's big charms for a lot of our guests) but I thougt perhaps once you were back in the Republic of Ireland your phone would be back working. With regard to the House Manager getting an email well unfortuantely in Ireland the broadband does not reach the far corners of the country as much as we would all love it to be. Given the location of the property and the lack of internet for the community I do not foresee this changing I am afraid. Glad we got it all sorted for you in the end and that you had achance to enjoy the incredible Termon. Beautiful, very secluded location. Sea literally at the end of the garden, and mountains all around. It is a period property with period features, so if you like that sort of thing it is great. Log fire lit to welcome us on our arrival - what a start! 10-15min drive to town, but you would put up with that for the location and atmosphere. We had the most wonderful time in this gorgeous house. The location is supreme and it was great to be able to bring the dog. The lady looking after it was very helpful and sorted out any problems immediately. Although our daughter was disappointed we were delighted that there was no TV or Internet ! Finally, I loved cooking in the old style kitchen which was well equipped. We returned to Termon House after a one-week stay last year. This year we based ourselves at Termon for two weeks having spent the previous week at Galley Head in Co Cork. We returned to Termon because of the location of the house. We enjoy the semi-isolation and spent our holiday reading, walking, cycling, swimming, eating and drinking. We had a brilliant holiday and it lived up to the expectations set by last year's experience. BUT, we have some observations (which I would prefer you not to publish). Termon House is in serious need of some TLC. There are clearly issues with damp and during our stay we experienced stormy weather for about 48 hours during which we had to bail-out and mop up water pouring in through the south-facing windows and french doors. I think there were sand bags last year and they would definitely have been helpful this year. There was also major ingress of water through the roof around the velux window in the utility room and you can see from one of the bedroom windows that the roof slates have slipped causing the problem. The result of the weather is that the paint is literally falling off the interior walls. The crumbly powder is unpleasant, especially around food in the kitchen. We thought it was time Termon House was given a re-paint inside and outside. During the stormy weather, a fuse blew, a result, we thought, of a fault to the wiring of the outside light above the front door. A number of minor irritations could be easily rectified with a bit of care and attention. Several of the ceiling light bulbs needed replacing. This was most problematic in the kitchen where the absence of a main light would have been unacceptable had it not been midsummer and light. The washing machine does not work (it does not spin) and the Stanley (as far as I could see) does not heat the water. We relied on the immersion heater for hot water. We travelled from Galley Head to Termon House and the contrast between the condition of the two properties was very marked. Galley Head was immaculate. As one of the older acquisitions of Irish Landmark Trust, it seemed to us that the Trust needs to re-visit Termon House to ensure its proper maintenance. But we had a lovely holiday and these observations are sent in a spirit of notification rather than criticism. Thank you for letting us know about your recent stay at Termon House. I am afraid once you put a review up there is no way for us to stop it been published but I appreciate your effort to contact us directly (if you wish to do so in the future please email [email protected]). Unfortunately Termon's location right on the shore of the Atlantic does mean that it is subjected to some dreadful weather. During the dryer summer months we make every effort to maintain and repaint the walls when we can but due to the horrible weather (some of which you experienced during your stay) we have had this summer it has been very difficult to arrange this. We are trying very hard to arrange some time to do this and hope for good weather. I can assure you Irish Landmark does make every effort to ensure all our properties receive the same care and attention. With regard to some other items you have mentioned I have forwarded these on to the House Manager and we hope to have these all address as soon as possible. Thank you for bringing them to our attention. Our stay at Termon House was wonderful. The house keeper Alice was very welcoming and helpful. The house was amazing, full of charm and very spacious, and with a family of four boys this was a critical factor. The pictures on the website don't really do the house justice.A beautiful house in a beautiful part of the country. Thank you for your feedback , really glad you enjoyed your stay, it's always a pleasure to let guests enjoy our properties. Stunning location. Comfortable and character filled cottage. Loved relaxing in front of the peat fire in the spacious lounge room. Very helpful and attentive house manager. A wonderful experience. Thank you for your feedback , it's always a pleasure to let guests enjoy our properties, would love to see you back in the near future. We enjoyed a fantastic holiday! The location is breathtaking, next to the seaside, with a walled garden, perfect for our family of 6. We enjoyed the walks in the area and the children had great fun. Thank you for you for taking the time to write this review, delighted you enjoyed your stay. The location and charm of Termon House made our stay very memorable. The house was very comfortable though one bedroom was fairly drafty, and we kept eating there to a minimum (breakfast only). There are a couple of good food options in nearby Dungloe for lunch/dinner, and a few supermarkets too to stock up on breakfast + snacks. Our only regret is that Donegal is a stretch from Dublin, otherwise we'd be back again sooner! Thank you for this review, so glad you enjoyed your time spent at Termon House, would be great if you stayed with us again perhaps at another one of our properties. The decor was very tasteful and the bedrooms and bathrooms were really great. Really comfortable beds with great bedding. Problems: very damp walls in kitchen and living room. As the house dried out the walls started to flake and deposit dusting of white powder. Question safety of some of the electrical sockets. Open fires smoked and as we had asthma sufferers with us we gave up trying to light them. A pity as a roaring fire would have been perfect. Excellent house in an ideal location, couldn't be close to the beach!! House manager Alice was very excellent!! Will consider another booking in 2015. Thank you for this review, so glad you enjoyed your stay, it's always a pleasure to let guests enjoy our properties. We were delighted to find Termon in excellent condition - nicely prepared by Alice and with all systems go. The weather proved exceptional for September and this was a most memorable stay. Thank you for this review,delighted you enjoyed your stay and weather was nice. We stayed in Termon House for a weekend and it was a delight. Alice had the heat on and a fire burning. It was warm and comfortable and the bedrooms were big and spacious. The location is stunning and even though the weather was bad we got to walk in the beach and explore Termon. Delighted you enjoyed your stay, would love to see you back in the near future. I now know what Paul Brady was singing about. We dropped in for a couple of days but would love to have stayed a while longer. A wonderful place in a magical county. Tremon is a great place to base yourself to explore the northwest. If you've not been to Donegal before - just go. If you've not been to a Landmark property - book one. Thank you for the wonderful feedback, delighted you enjoyed your stay. 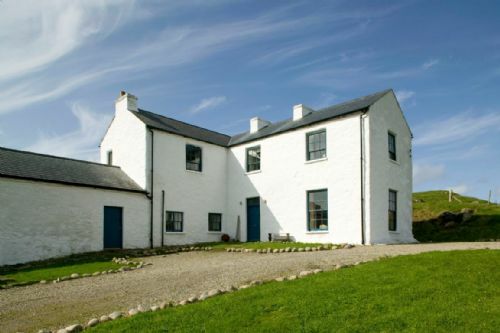 Termon House is a beautifully restored and maintained house. We loved the remoteness of the location and great views of the sea, wonderful peace and tranquillity, a great " get away from it all" destination . We enjoyed the experience of living in a house of a bygone era which was very comfortable and pleasant . Alice, the house manager was extremely helpful and gave us very good local advice which helped us to made the most of our stay. Thank you Richard for taking the time to let us know how your holiday at Termon House went for you. It is in a wonderful spot isn't it? We are so happy to hear that you had a good time and enjoyed the break away from the rest of the world. We hope towelcome you to another of the Irish Landmark properties perhaps in the future. A long time visitor to Maghery in Donegal, Termon House features heavily in our family mythology. To see it refurbished to its former glory was great, to actually have the opportunity to stay there - fantastic! An amazing property, grand, but warm and cosy and with a location probably second to none anywhere. The sounds of the wind whistling around the eves or the weaves crashing on the beach outside is pretty special and the welcome from Alice the House Manger superb. Delighted to hear such great feedback so glad you enjoyed your stay. Six nights wasn't really long enough to enjoy fully the beautiful surroundings of Termon House. The remote coastline is wonderful. The house itself is delightful and the views from the windows are stunning. We were sad to leave Termon House. Lovely location to relax, enjoy the views and explore the surroundings by hiking, biking or car. The local pub is charming and we enjoyed staying on our own without TV playing scrabble all evenings. 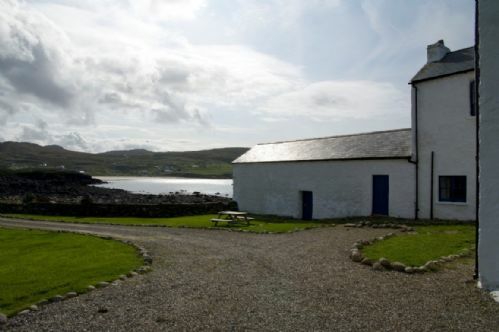 Termon is a really stunning property on the Donegal Coastline near Dungloe. There were six of us at the house and we found it very comfortable. Fuel was provided for the fires and we got a warm welcome from Alice. One of the double bedrooms is accessible only through the twin room so this makes for a little bit of extra consideration if everybody retires at different times, but this is not the fault of ILT. It is simply an old house. The views from all windows in the house are inspiring and breathtaking and there is alot of walks in the area. We went to Glenveagh National Park and got some lovely sunshine. A great experience. Overall we were all very happy and will certainly return some day. 3. Cold weekend when fires were essential. Both chimneys in living and sitting rooms smoked badly. Eyes affected. 4. Leaking skylight in utility room above dishwasher and kitchen window very draughty. Regret we were unable to agree to turn off heat Friday night Saturday morning to enable serviceman to carry out maintenance on stove. Perhaps better done during summer months? Thank you for the lovely photo and feedback. Hope to see you back soon. 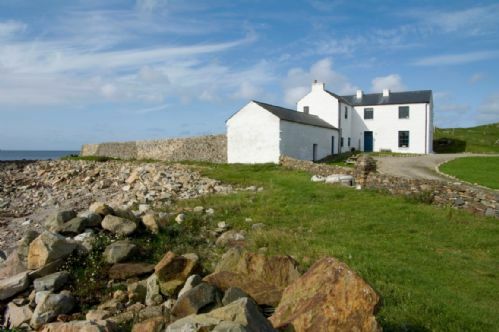 Amazing location overlooking the wild Atlantic ocean - surrounded by roughed harsh country side. The house is a delight of old world charms full of period characters - turf fireplaces/ stone slab flooring/sash windows and old iron cast framed beds. warm and comfortable interiors to help keep you secure while the winter storms howl outside - Just wonderful !!! will be back for sure one day !! Great location but the inside of this house needs attention. The House and Alice were really good. However the condition of the house was surprisingly disappointing. The plaster was falling off the walls, especially in the living room and the hall & landing. This made the place quite dusty. Also it was not possible to turn off the radiators downstairs (as the switches were missing) which was a considerable waste. These issues would need attention before I would return despite the fantastic location. This was unexpected as we had been so impressed with the Salterbridge Lodge that we had stayed in before Xmas. It was still a great weekend and we enjoyed it but I felt u should know these issues. Thank you for the feedback,we appreciate you taking the time to let us know of this issue and will work towards improving the situation. Stayed here with my family over Christmas 2013. As expected, the weather was pretty wild, but this only added to the drama of the house and the location. We had two fires going all the time and the place was lovely. There were one or two leaks which would concern me if I owned the house, but they didn't cause any discomfort to us at all. There are lovely walks around the area, starting from the front door of the house - I didn't get in the car the whole week we were there. We stayed her for a long weekend in november, the house was a little chilly when we arrived, I think the radiators in the rooms need to be bled. But with a few glasses of wine and the fire blazing we where in heaven! I would definatly reccomend this to friends, with the added bonus that is is dog friendly. The lady looking after the house was not informed by main of our coming. Better directions also. A charming house in a great location. The lady of the house was not informed of our coming. The only other thing I would say is that the directions on website or instructions given in the email to the house were not great. Thank you for your comments, we appreciate you taking the time to let us know about the directions and will work towards improving them. We had a great,very windy and wild time!thank you so much!! In the house and well choosen. Glad to hear you enjoyed your time so much! You are very welcome and thank you for taking the time to let us know.